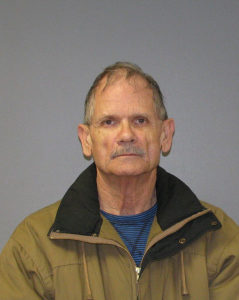 Authorities arrested a Hillside, N.J. man earlier today and charged him with 3RD Degree Theft by Extortion, announced Union County Prosecutor Theodore J. Romankow. Members of the Union County Prosecutor’s Office were contacted by a Berkeley Heights, N.J. woman earlier this month, who said a man had called her residence and claimed that he had information of a criminal nature against her son. The caller, later identified as Lee Toucheque DOB: 3/31/1950 of Hillside, claimed to be acting on behalf of the alleged victim’s family and said that they would not contact the authorities if the woman made a $10,000 donation to a non-profit organization. After ending the initial call, Toucheque contacted the Berkeley Heights resident two additional times the following day, February 6, 2013. At that point, the Berkeley Heights woman contacted the Prosecutor’s Office and an investigation was launched. Later that same evening Toucheque arrived at the woman’s home seeking the payment. An undercover officer acting as the resident provided Toucheque with an envelope and received a receipt from the Burlington County Taxpayer’s Association, bearing his signature, in return. After the interaction at the Berkeley Heights residence, the investigation continued and could not corroborate Toucheque’s claims of there being a victim, or of a crime occurring. The investigation further revealed that the Burlington County Taxpayer’s Association, is headquartered at Toucheque’s Hillside address, and filings show he runs the organization. Toucheque works as a school transportation driver and was arrested at his place of employment earlier today. He was transported to the Union County Jail for processing and was later released on his own recognizance. A first court appearance will be scheduled in the coming days.